Insiders say the special advisers help keep annual financial reports honest by acting as a check on the ever-present temptation for political appointees to tweak the numbers. The public really doesn’t have a representative sitting at the table with the government officials, which is concerning. “The public really doesn’t have a representative sitting at the table with the government officials, and I think that is concerning,” said Kathleen Sebelius, Health and Human Services secretary under President Barack Obama. Public trustees require Senate confirmation. Traditionally they are picked by the White House and the leadership of both parties, then nominated by the president. The White House has announced President Donald Trump’s intention to nominate former Social Security official James Lockhart to fill the Republican seat; Democrats say they’re working with the administration on Democratic a candidate. Trustees serve for four years, and their terms can be extended. Toward the end of his administration, Obama re-nominated the incumbent public trustees for a second term. But with 2016 elections approaching, the Senate didn’t take a final vote and the posts have been vacant since. 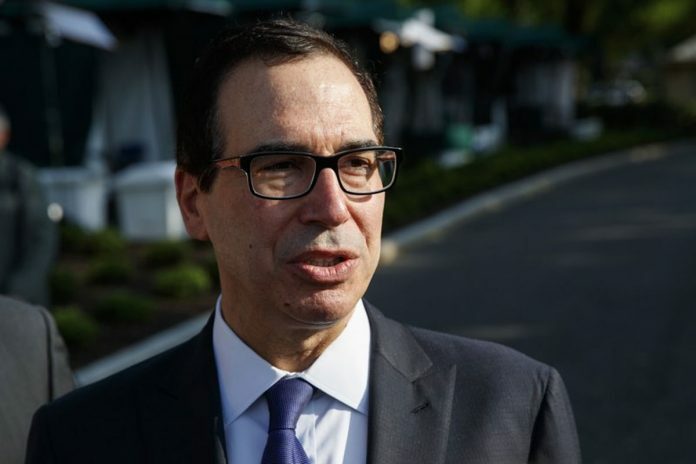 Nonetheless Treasury Secretary Steven Mnuchin was upbeat. “The programs remain secure,” said Mnuchin’s statement at the time. “The administration’s economic agenda — tax cuts, regulatory reform, and improved trade agreements— will generate the long-term growth needed to help secure these programs and lead them to a more stable path,” he added. Mike Leavitt, health secretary under President George W. Bush, says the absence of public trustees is a symptom of deeper problems with old-age programs that Americans do not want to face. “We have become desensitized,” said Leavitt. Without public trustees, professionals at Social Security and Medicare are loath to make changes in assumptions underlying the financial estimates. That means those estimates can get out-of-date, said Rick Foster, Medicare’s former chief actuary, or top number-cruncher. “The process can get a little stale,” he said.